The service was a perfect balance of elegance and friendlines. Chateau Fombrauge was a wonderful place to stay. From the moment that we walked in the door we were treated like royalty. Chantele was wonderful in taking care of us, even though there was a bit of a language barrier. We were able to get a tour of the winery and taste some wine at the end, even buying some wine to drink at the chateau that night. Breakfast in the morning was plentiful and tasty. We were fortunate enough to have no other guest when we were there and it was nice to feel like we own the chateau if only for a few nights. The rooms are very spacious and the bathrooms modern. The robes and slippers that were available for us to use were perfect to slip into after a day of wine tasting. The place is a little off the beaten path but was perfect for us as we had a car. It was about a five minute drive to the city but was close to all the other wineries we visited. It was nice to feel like we were truly getting away from it all. With the vineyard in the background and no other houses or chateau to be seen, we felt exactly like that. It was definitely worth the visit and one of the highlights of our trip. Rich French food, wine okay, if one is into reds, great service and the most amazing grounds with century old gardens, with ancient olive trees. Just taking the time to wander the gardens is highly recommended and do the tour of the cellars at the Chateau with English speaking guide who explains the interesting history of the Chateau and its owners + the wine storage equipment was the most modern that I saw. My wife and I spent 3 nights here and loved every single minute. We stayed in the Cadran Suite with a lovely view of the vineyard. The room is beautifully appointed and takes you back centuries to old world French luxury. Breakfast every morning was a sumptuous selection of yoghurt, granola, pastries, juices and coffee, served in a beautiful dining room. The staff are incredibly helpful and accommodating. What struck us is how quiet the place is. It's a real escape. 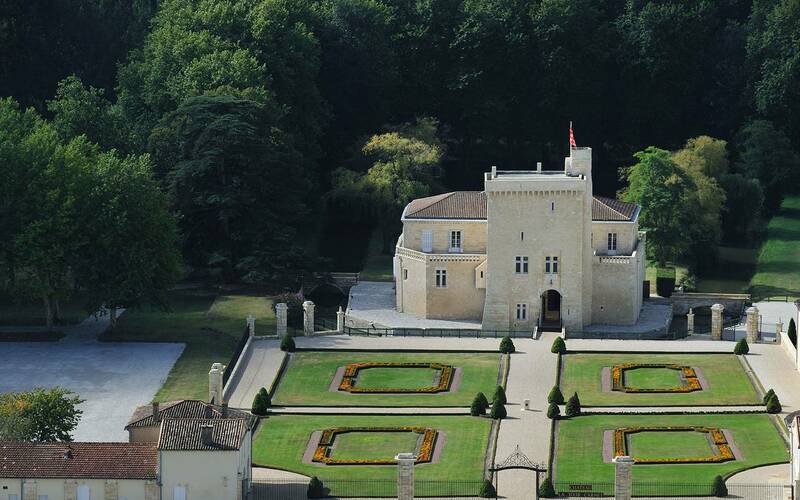 The Chateau is a short 5-10 minute drive to spectacular Saint-Emilion and a 45-minute drive to Bordeaux. 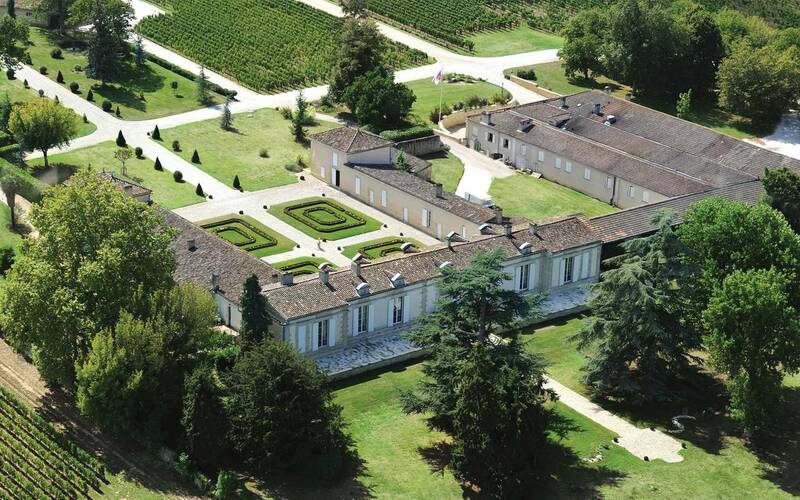 If you're looking for a luxurious base in the Bordeaux region, this is it ! It's funny how Chateau Pape Clement is classed here as a B&B. The beauty and luxury of this place far surpasses so many top hotels. From the warm greeting that David offered us before showing us around the ground floor of the property and the grounds to the luxurious bedroom, the rich history and beautiful gardens, the incredible artwork and fascinating wine tour. hateau Pape Clement is an experience that everybody should try. We dined here on one of our evenings in the beautiful dining room and were treated to excellent food served on Hermes crockery with superb wine from the vineyard outside the window. A special treat was finishing off dinner with a lovely Sauterne served in the most exquisite hand crafted glasses. Service at dinner and at breakfast was second to none and throughout our stay David made sure we had everything we needed including advise on where to dine in Bordeaux, calling taxis, etc, etc. Thoroughly enjoyable stay - I think the nearest we will ever come to starring in a French version of Downton Abbey ! Stayed here two nights and were amazed at the grounds, building, wine tour. So much historical information. From the study with all of the papal items, to the grounds with the olive tree planted in year 193, this place is full of amazement. The rooms are very comfortable, and the baths are surprisingly updated and spacious. Staff is very friendly. We took the wine tour as well. Very knowledgeable tour and interesting as well. 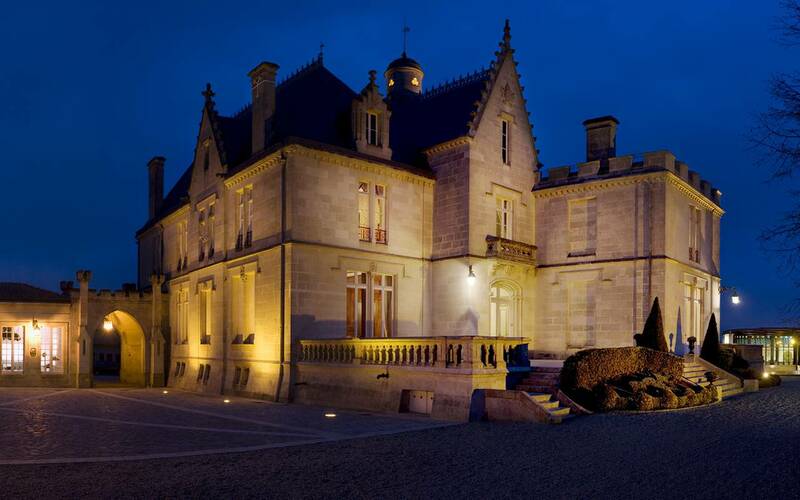 Highly recommend a couple of nights at Chateau Pape Clement -- unbelievable experience in what is truly paradise in the town of Pessac, immediately west of Bordeaux city. I don't know how to describe the chateau other than to say it's a freaking castle -- the grounds are amazing, but our favorite spot was the spacious roof top terrace where we would spend each evening enjoying the views of the vineyards and watching the city lights of Bordeaux in the distance. The staff at Pape Clement were incredible -- from Elsa, to Jessica, to Antoine, to David -- exceptional service and accommodation. Highly recommend ! My wife would like to express our sincerily thanks for the great evening we had yesterday. The people that attend us was so kind, even with our little child. This experiencie and the finesse will remain as one of the great memories of our holidays in France (our favorite country). This was one of many wine tours for us, but the tour of the grounds and the history behind them made the tour worthwhile. The gardens, landscaping, vineyards, and glass house designed by Eiffel are all part of the incredibly long history behind the estate. The sommelier was very informative and engaging during the wine tasting. Highly recommend a visit. We loved our experience at Chateau Fombrauge. The room and bathroom were enormous and very comfortable. The breakfasts were lavish and the views from the Chateau were beautiful. We were alone in a medieval castle with a moat and a drawbridge. Only two bedrooms available. Beautifully restored!! Very magical! !